Tom Sturgis Pretzel Factory – The Home of My "Big Things"
After our trip to York to see a Time 4 Three performance (which Deb gave me as a gift) we took a route home leading through Reading, PA. In Skillington, near Reading I had researched a Big Pretzel. 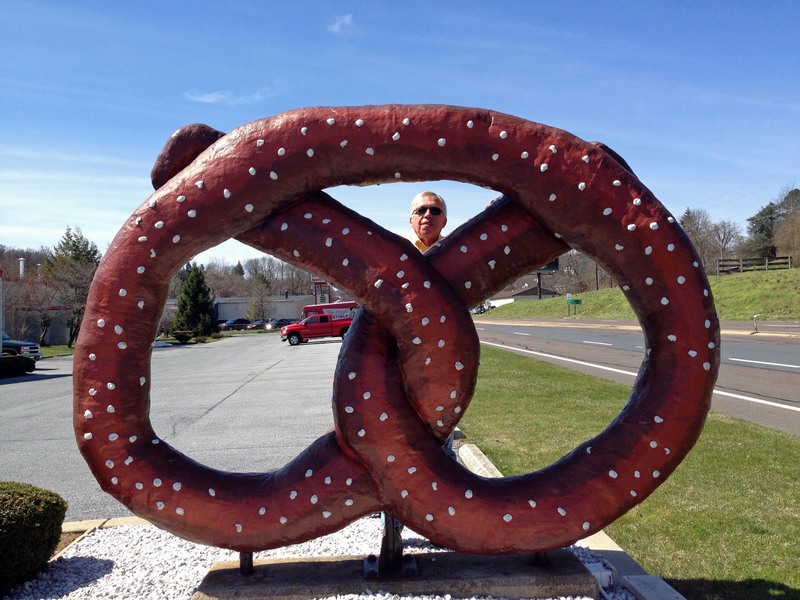 It is located in front of the Tom Sturgis Pretzel Factory on Lancaster Pike. Truly a great pretzel, too bad it was a Sunday and we couldn’t get in the retail store to buy some of these pretzels.